When it comes to communicating on mobile for Deaf people, sign language isn’t really an option unless using video messages. That’s about to change with the release of Signily, a sign language keyboard app for iOS (coming soon to Android). 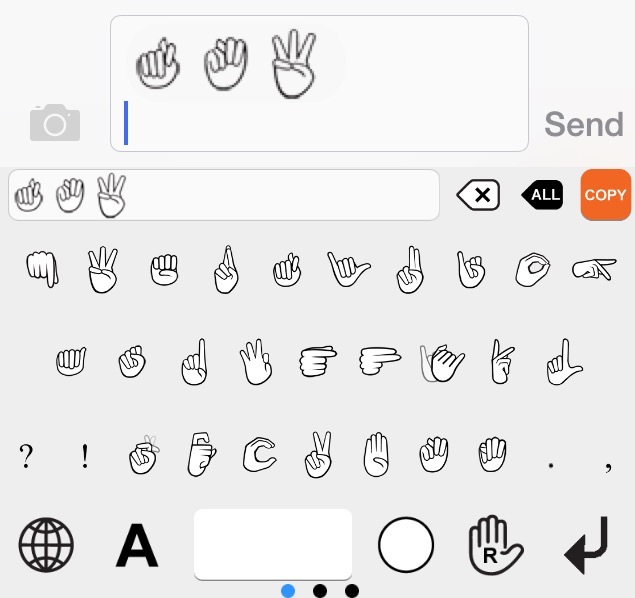 The keyboard uses emoji-style hands portraying accurate signs and shapes. US-based nonprofit ASLized created the app with a team of Deaf people using American Sign Language (ASL) as their primary language. 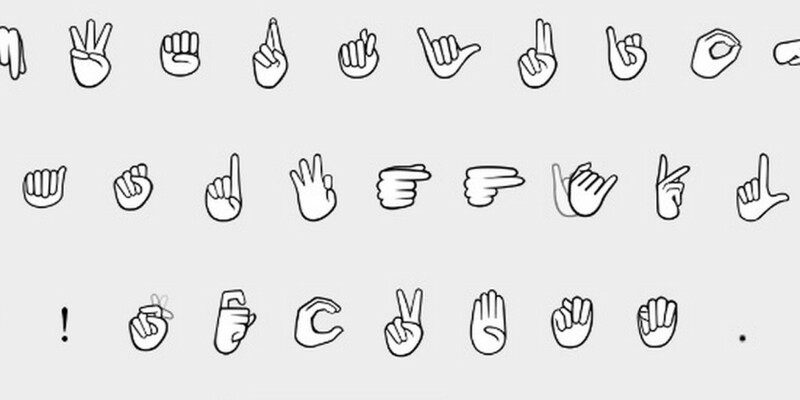 Sign language varies from place to place and doesn’t always translate perfectly to English so even though a lot of Deaf people use email, text and handwriting as well, the option to use sign language is no different than being able to have your phone in your native language despite also understanding English. It’s also possible to customize the skin color of the hands on the keyboard. The keyboard consists of right and left-handed shapes and signs representing ASL in the style of a QWERTY keyboard, as well as numbers 1 to 30 and some mixed signs. Signs that move are also included in the form of animated GIFs. There’s an English keyboard within Signily as well so you can use a mix of words and signs. Plus, you can choose to have mild profanities filtered out. While it’s only available on iOS at the moment, ASLized has said that an Android version is coming soon. The app costs $0.99 to download and all of the proceeds go towards the nonprofit’s emoji project to have sign language shapes integrated into Unicode and approved by the Unicode Consortium.